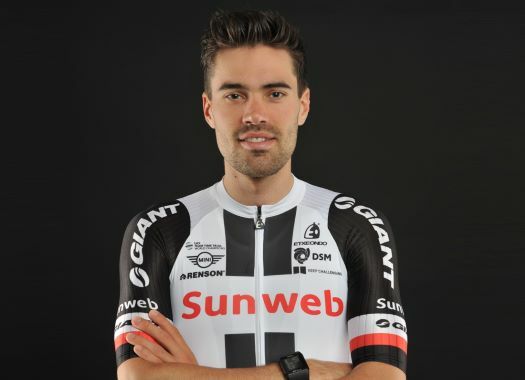 Team Sunweb's Tom Dumoulin has come back to the place where he had to attend a 'nature call' at the 2017 Giro d'Italia. During the 16th stage of the 2017 edition of the Giro d'Italia, Dumoulin, then leader of the race, had to make an emergency stop at the side of the road because of stomach problems. At the end of the stage, the Dutchman lost two minutes and 18 seconds but was able to maintain the lead of the race. The rider lost the Pink jersey to Nairo Quintana on the 19th stage of the race but won it back at the time trial of the last stage, taking the overall victory of the Italian race. Even though at the time, surely it was not a funny moment for Dumoulin, more than a year later he found the comic side of it and went back to the same spot to recreate it. Teammate Laurens Ten Dam recorded the moment and put it in his personal Instagram account.